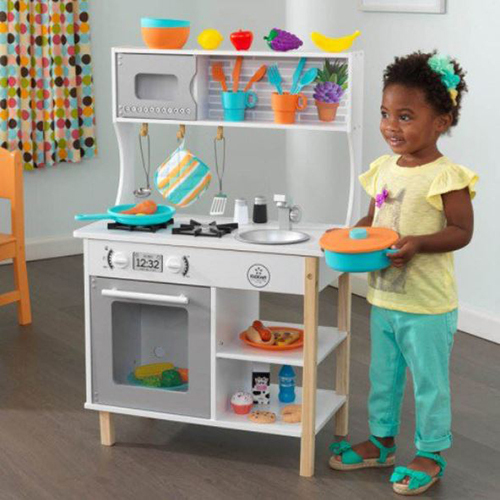 Our toy kitchen by Kidkraft is the perfect set up for your little chef! 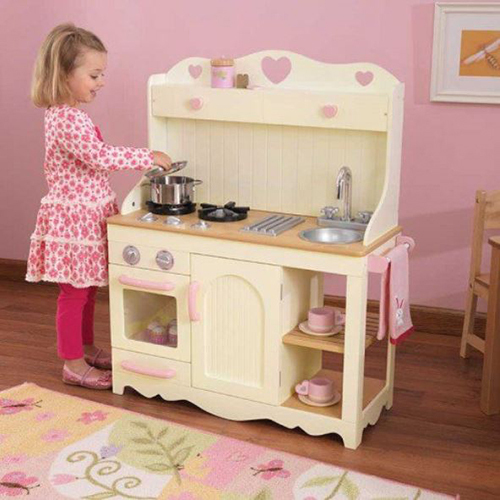 We have a range of different designs and colours available, so your child can play in their perfect kitchen. 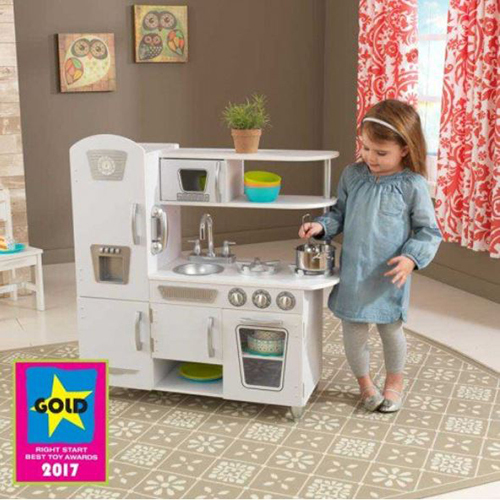 The kitchens comes with oven doors and cupboards that open and close, and knobs that can be turned, helping with the imaginative play process. 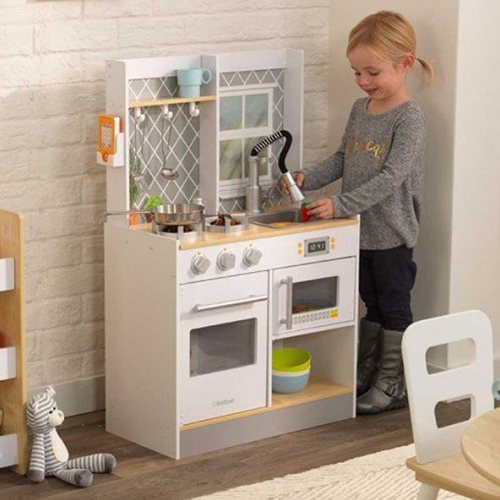 All kitchens are designed in incredible detail, so are fun and realistic for your child. 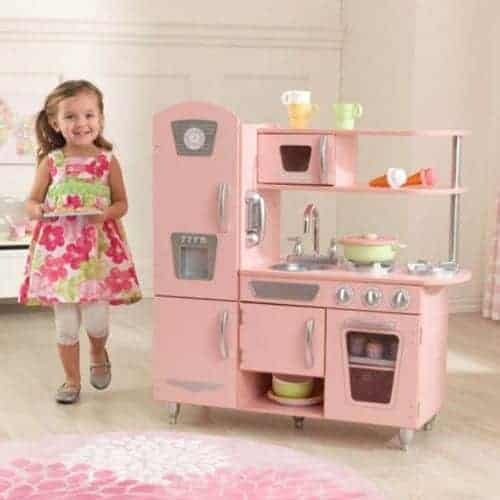 The kitchen comes unbuilt, but easy to follow instructions for assembly will be delivered along with the kitchen. 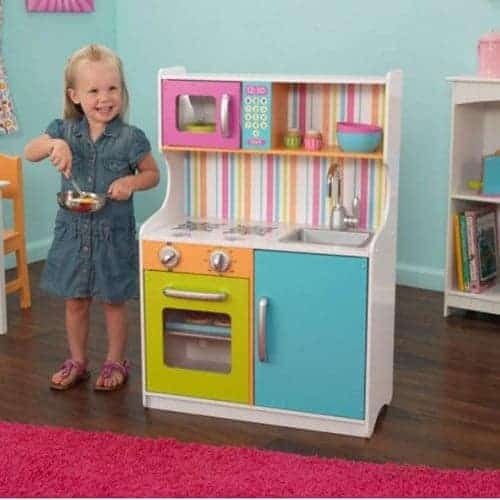 All accessories shown in photos, such as foods and cooking utensils, are not included.